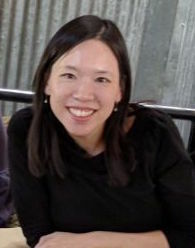 I am Karen Ng, a Principal User Experience Designer based in San Francisco Bay Area, California. I love creating thoughtful end-to-end user experiences that push technological boundaries without sacrificing usability. I worked with consumer and enterprise interfaces, web & mobile applications, web marketing, e-commerce, and digital brand strategy. A self-starter who thrives on ambiguity, I drive thought leadership within team and organization in promoting and applying user-centric design thinking on products.